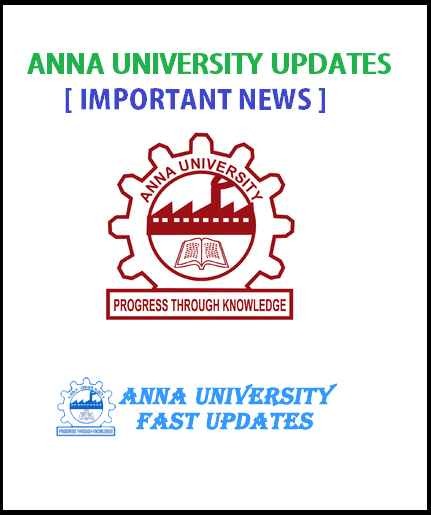 Anna University announced the Schedule for the Internal Assessment Exam Time Table April/May 2019 for UG PG 2nd 4th 6th 8th Semester Regulation 2013 2017 students. This schedule is for conducting the UNIT TEST/ CYCLE TEST for all affiliated colleges. Many colleges as per Anna university schedule or some colleges will schedule the Internal Assessment Exam as per their wish. The Internal Assessment Exam schedule varies as per college’s management wish. 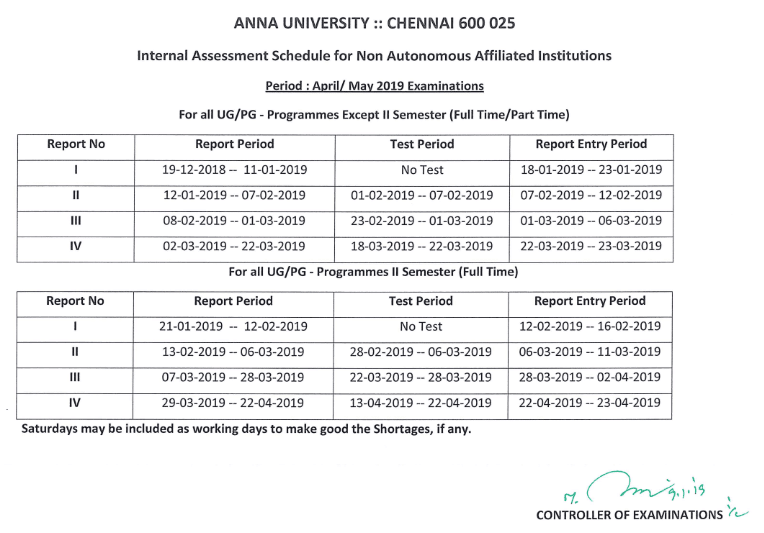 Anna University Internal Assessment Exam Time Table April/May 2019 UG PG Internal Assessment Schedule. The Internal Assessment Exams were important for students to score higher total internal marks which are calculated at the end of all Internal Assessment Exams. Based on the students’ performance in the test, the final internal marks are calculated for 20 Marks. So students should work hard to score high marks in Anna University Internal Assessment Exams in order to gain high marks in the Anna university theory semester exams. The internal assessment consists of Four Report periods. 2nd Report period - UNIT TEST/ CYCLE TEST 1. 3rd Report period - UNIT TEST/ CYCLE TEST 2. 4th Report period - UNIT TEST/ CYCLE TEST 3. So every student must also want to concentrate on gaining a good percentage of attendance also otherwise if the attendance for a subject is below 75%, then the Hall ticket for final semester theory exams will not be generated. Also Check How to Check Anna University internal marks in Students portal 2019? How The Internal Marks for Anna University Examination Will Be calculated? Three internal exams will be conducted periodically as per Anna university slot. Final total internal mark for a student is 20(per subject). Each internal exam carries 5 marks, 3*5=15 Marks for internal exams. Another 5 mark is filled up by Attendance report. Theory semester exam will be conducted for 100marks and it will be converted to 80 marks and added with the internal marks 20. (80+20=100). More Internal Assessment Exam Time Table Updates Coming Soon For Other Semesters.